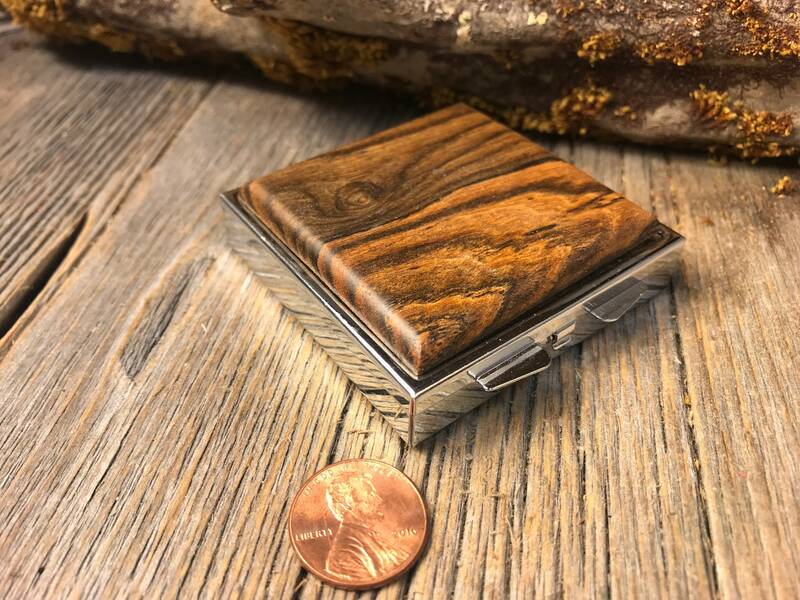 This simple and unique Pill container features a gorgeous cut of Gallery grade AAAA Bocote, precisely inlayed into a chromed steel case. 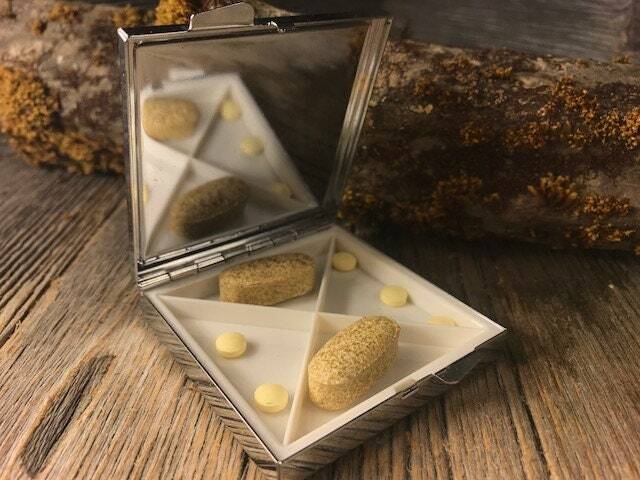 The 4 partitions are perfectly suited for a pill regiment or your daily medication perfectly organized and protected. This case will take the larger vitamin pills. 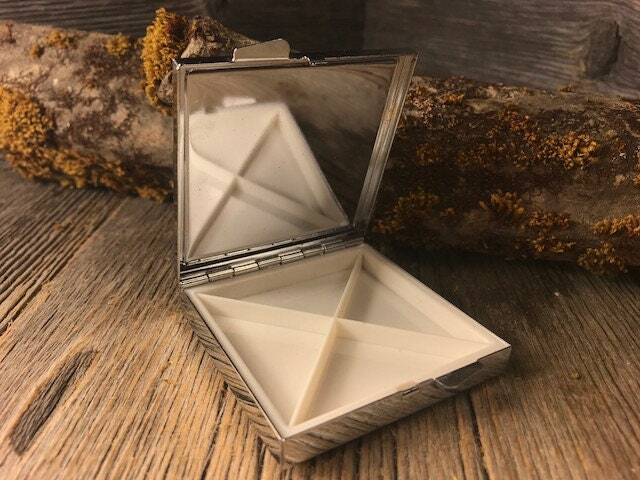 This could also be used for your custom make up. Also see my selecton of make up/ compact Mirrors. The green hue in this spectacular piece is not a stain its the wood itself. 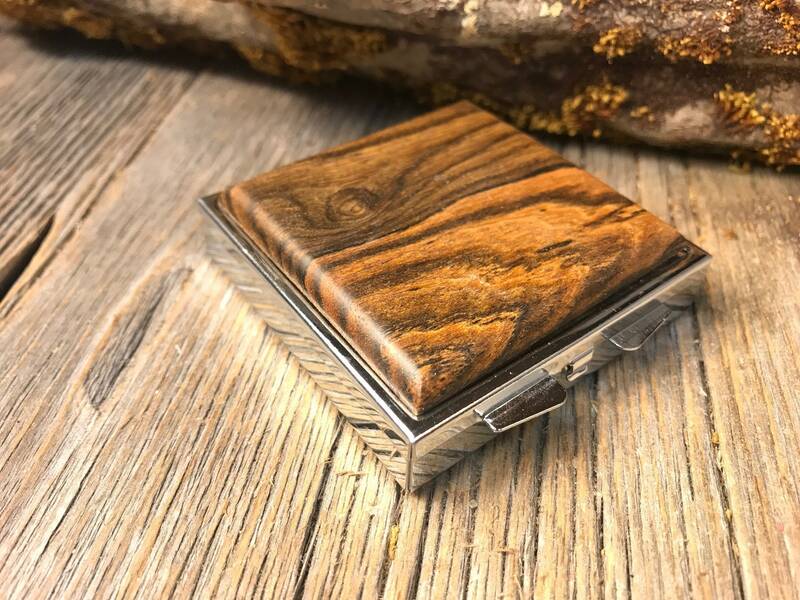 Every box is unique in texture and grain, and boasts a beauty that only natural wood can achieve. 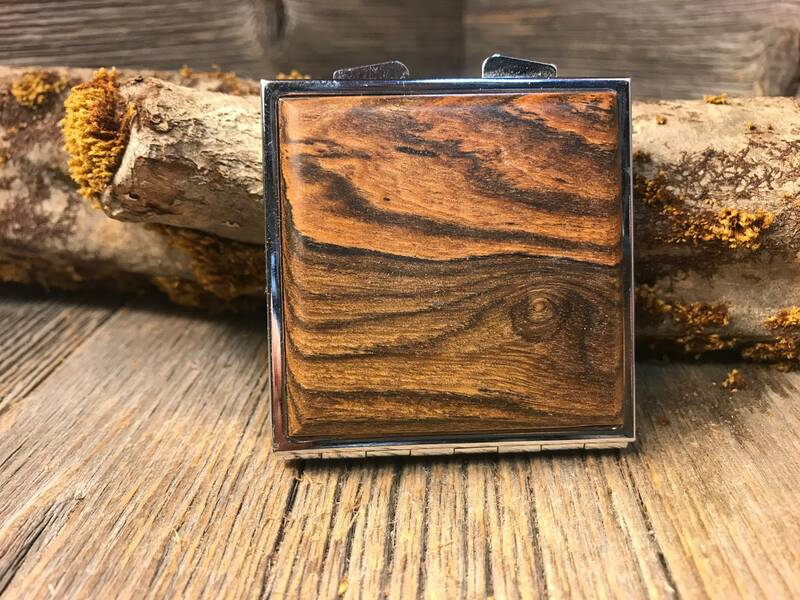 I pride myself of having the most superior selection of exotic woods and fascinating burls on the internet, as you can see in my other wears. As with all Burls, naturally occuring cracks and voides add to the caracter of the wood, but will not affect the stability. 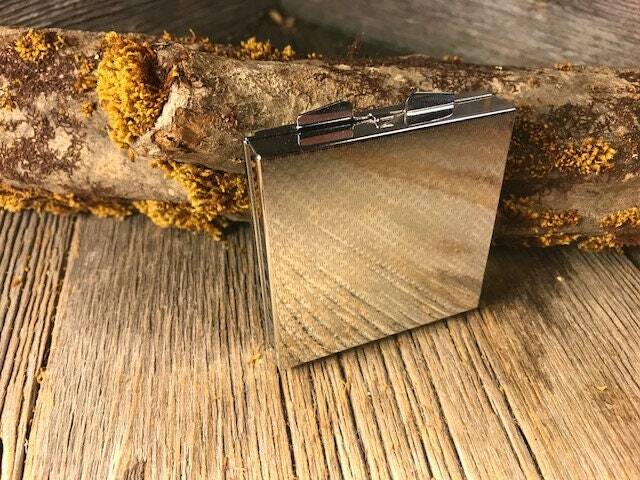 The small size makes it perfect for travel and can be carried in you pocket or purse.